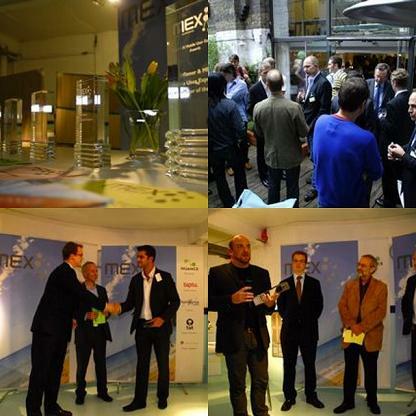 This article by Marek Pawlowski, founder of MEX and Editorial Director at PMN, provides a summary of the first day’s proceedings at the MEX conference in London (27th – 28th May 2008) and announces the winners of the 2008 MEX Mobile User Experience Awards. This is part 1 of a 2 part summary. Read the second part here. The 4th annual MEX conference opened in London this morning, with a packed house of the leading thinkers in the mobile business. Operators, handset manufacturers, media companies, software developers and user experience consultants from 21 countries filled the unique WallaceSpace venue to capacity, bringing with them a diverse range of views and a wealth of new ideas. The first keynote presentation was delivered by Cyrus Allen, head of customer experience at Telstra, who addressed MEX Manifesto point #7, entitled ‘Intelligent contact lists are the future centres of the user interface‘. Allen, who has been instrumental in establishing customer-centred thinking at Australia’s largest network operator, provided an insight into the behavioural trends driving adoption of presence technologies, instant messaging and community-based services in the mobile environment. He talked about the potential for an intelligent, network-enabled contact list to be the driving force behind a wide range of other services – mobile TV, for instance, could be enhanced by making it into a social experience, where TV content was easily shared with contacts in your address book. Allen also stressed how mobile added new dimensions to presence status. Mobile services must become smarter at recognising the diversity of particular states of presence if they are to really reflect the way users behave – it is no longer enough to be able to indicate simply: ‘away from my desk’ or ‘in a meeting’ – we must use the unique contextual information provided by the mobile service environment to add richness to messaging experiences based on both communication and consumption. The presentation was followed by a lively panel discussion, with participation from Allen Scott, General Manager of technology platform supplier NeuStar NGM, and JoEllen Kames, who manages user experience planning at Motorola. Scott, Kames and Allen fielded a wide range of questions from the audience, ranging from the practicalities of implementing the network-enabled address book to the ‘political’ questions over which companies should drive this process. In the spirit of the MEX conference, which is designed to enable everyone in attendance to share their views, the points made by audience members were some of the most hotly debated. In particular, there was universal agreement that issues of customer ownership and misaligned revenue priorities have clouded the industry’s ability to deploy presence-enabled services which really live up to end user expectations. The format and resulting output from these workshops was as diverse as it was fascinating. Some groups took a very discussion-based approach, while others went through live design exercises to sketch out new prototypes. Each group was asked to report its findings back to the main conference, sharing the insights from their workshop team. Some key themes emerged, including the importance of recognising that ‘fashion’ is a broad term for a whole range of emotional purchasing factors. For some people it can mean luxury and the best materials, for others it is about declaring their affinity to a brand. It can also be about simply allowing a user to express who they are as an individual. There was universal condemnation for the existing process of ‘brand slapping’, whereby a third party company simply places its logo on an existing product in an attempt to target a particular customer base. Each of the groups proposed various ways in which brands could tell a much more authentic ‘story’ through their mobile products, either by investing in unique hardware design or linking a handset to a particular range of services. The question was also raised as to whether usability itself could become a fashion statement. Some of the workshop groups looked at the idea that a product could be made to appeal to a particular audience by being the simplest and easiest solution to a particular set of user needs. Not perhaps the traditional view of fashion, but a strong connection to emotional purchasing behaviour nonetheless. The MEX process continued after lunch with two fascinating views on mobile search, highlighted in MEX Manifesto #6 ‘Search requires a radically different approach in the mobile environment‘. The first was provided by Scott Jenson, who manages mobile UI for Google. Scott talked about the fundamental pain versus value trade-off which underlies a good mobile experience. He reminded the audience that Google’s goal with search has traditionally been about getting people off its site as quickly as it can – it measures its success by how efficiently a user is able to discover what they are looking for and then surf off to another site. In the mobile environment, however, Google has found itself playing a slightly different role. Mobile users are not necessarily looking for the most efficient hand-off process – the transfer to another site – they are just looking for answers as quickly as possible. Google is now finding it can answer a lot of the questions users are asking within its own mobile results pages. Jenson’s highly engaging talk digressed into the radicalisation of the search process, looking beyond the traditional ‘one box’ which currently defines the search interface on both desktop and mobile. While he didn’t see this dissappearing any time soon, he did highlight a range of input methods, such as voice, which could be additive to the search experience and a wide range of other contextual information, such as location and behaviour, which could help users find what they’re looking for more quickly. Steve Ives, CEO of mobile search start-up Taptu, then provided an insight into how his company has built user-centred design into its mobile application from the outset. Based on detailed user profiling and usability testing, the company has rapidly developed a search engine which adds a new element to the mobile experience – the concept of super social. Ives reminded the MEX audience that mobile devices are fundamentally super social. All of the habitual, frequently-used features on mobile devices are driven by communications and social behaviour. Taptu’s approach, therefore, has been to extend the mobile search process to sharing. According to Ives, they don’t consider their job done until a user has found a piece of content and then shared it in a single click from their mobile device. The mid-afternoon sessions saw a complete change of focus. After a number of sessions looking at the most advanced trends in developed markets, MEX shifted its attention to the emerging economies delivering the vast majority of the industry’s new subscriber growth. Mike Short, Vice President of R&D at O2 and Chairman of the Mobile Data Association, led these parts of the agenda on MEX Manifesto #5, ‘The developing world is the new frontier for the mobile user experience‘. JD Moore, who manages user experience design in this area at Nokia, shared his view of breaking down the barriers of ‘technology imperialism’ by actually going into the field in Kenya and involving end users directly in the design process. Moore was followed Paul Adams of Google. Adams is an ethnographer at Google and recently spent time in India and China trying to understand user lifestyles and derive insights into how mobile services can reflect different cultures and usage patterns. His photo essay provided an eloquent picture of the reality of life in markets few in the mobile industry can claim to understand. Adams himself freely admitted that his own work, parachuting into countries for a month or so at a time, was inadequate to fully understand the complexities of these markets and encouraged the industry to get out there and really experience these regions of the world for themselves. In a theme which was to continue in the subsequent breakout discussions, both Adams and Moore strongly advocated tapping into the enormous local expertise and creativity in emerging markets to ensure the next generation of mobile experiences – including the potential for more than a billion new customers to connect to the web for the first time – was relevant and culturally compelling. The MEX process enabled the conference audience to participate fully in this topic, with 8 separate breakout groups working with user personnas and design challenges to come up with new ideas for how the industry could better cater to the needs of the huge new customer base in the developing world. The afternoon conference sessions concluded with Kieran del Pasqua, interaction designer from Intel, kickstarting a panel discussion on mobile payments and MEX Manifesto #8 (Mobile payments herald the next generational shift). Mike Short chaired a lively debate with del Pasqua, Mike Grenville of 160characters.org, Jo Rabin of MobileMonday and Tim Haysom of the OMTP. With the first 5 Manifesto points addressed, MEX loosened its tie and moved into party mode. More than 100 of the industry’s leading executives gathered in the WallaceSpace Garden Cafe for an evening cocktail reception to celebrate the first MEX Mobile User Experience Awards. With mime artists and magicians to entertain the crowd and champagne served on the patio terrace, the reception was in full swing for the announcement of the MEX Award winners, including the crowning of the 2008 MEX Mobile User Experience Innovator of the Year. The Awards recognise the new innovations entered into the MEX Design Competition, which attracted more than 50 entries from around the world. Each contestant was asked to submit an original idea for enhancing the mobile user experience and show a clear link to user-centred design principles. The Competition was open to students, companies, engineers and visionaries from throughout the mobile business. 2) Specifically, we asked contestants to show us how their product met the needs of their target user. We wanted to encourage people to design for individuals rather than broad, inaccurate market segments. The judges considered how detailed the contestants had been in their description of the user and how well suited their design was to that user’s needs. 3) The Competition was also designed to encourage new innovation. The judges looked at each entry and asked whether it represented a cutting edge mobile user experience? 4) The public vote count and public comments were also considered. 5) Overall, the judges were looking for ientries which balanced a clear understanding of users as individuals with a flair for solving user experience issues through innovative design. MEX continues in London tomorrow, with 5 more Manifesto points to address, including ‘#2. Handsets are no longer just for the hand’, ‘#3. Fragmentation is the enemy of innovation’, ‘#1. Content itself is the new user interface’, ‘#9. Users as individuals, uniquely complex and contradictory’ and ‘#10. The potential of smart voice’. If you’ve missed out on attending this year’s conference, the MEX Report is a great way to catch-up on the cutting edge of user experience thinking. It will be available for purchase to those who didn’t attend – please send me an email at marekpawlowski@pmn.co.uk if you’d like to pre-register for your copy and I’ll be in touch as soon as its ready. Also, we are launching a new initiative – MEX Briefings – where we bring MEX insights direct to your offices. From the end of June, we’ll be touring the world with a programme of in-house seminars for companies that need to get up-to-date with the key trends in mobile user experience. 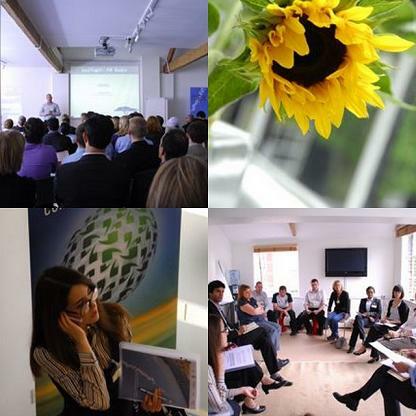 These tailored sessions enable you to bring MEX into the heart of your organisation and come with a corporate license for the 2008 MEX Report. If you’d like to book one of these sessions for your company, please drop me an email at marekpawlowski@pmn.co.uk. This is part 1 of a 2 part summary. Read the second part here.